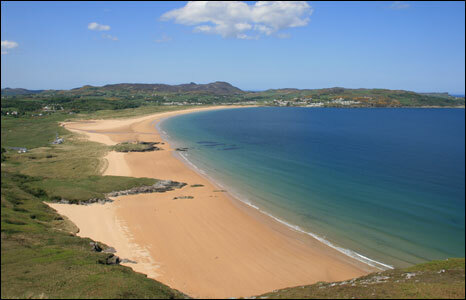 Time to Escape to Donegal! The Mount Errigal Hotel is in a perfect location for exploring the North West of Ireland. Donegal is breathtaking with misty mountains, serene lakes and dramatic coastlines - Fill your day with the diversity of a post brunch walk along a sandy beach followed by a visit to a Castle or visitor centre and a stop off at a craft shop along the way! The Mount Errigal Hotel boasts the 'best of both' for everyone seeking a short break in Ireland, the hotel is ideally situated within walking distance of the 'buzzing' town of Letterkenny and within minutes you can enjoy the beautiful Irish countryside! Big Hit - One Night Delight Deal! We know that everyone is very careful with their hard earned cash, so we wanted to offer a straight forward pacakge that included Bed, Breakfast, Dinner & Wine for around 100 euro! We have had 'rave' reviews from recent customers who availed of the package - many saying 'It was a little slice of R&R and an even smaller slice from our monthly budget'! Think about it - at home you would probably spend that on a meal out, drinks and taxis BUT - at home you will have to make your own bed, make your own breakfast and wash the dishes! The package includes Free Parking, Free Wifi, Free use of Leisure Centre Comprising 22m Pool, Sauna, Steam Room, Jacuzzi & Gym, Bed & Full Irish Breakfast and a 2 Course Meal with a Glass of Wine - all from just 99Euro for two sharing! Book it now before its too late! http://www.mounterrigal.com/special-offers/one-night-delight!